More than 2.5 million pyramids are been used in Vastu till today, do not go by the words, try one for yourself! The simplest and most powerful tool “ Multier 9x9 ” is an innovation of Prof. Dr. Jiten Bhatt for Vastu and Fengshui corrections and energy balance. Widely used for center activation, spiritual room shifting, land charging & so on. Bemor 9x9 is used for main door luck activation, energy spread in house or office and for 9 energy beam generation. This tool is very popular in Feng Shui, Vastu and other correction. Bemor 9x9 set contains one Lotus power 9'hole plate, one PyraPlate and nine PyraChips. This advance new Multier Max is precisely developed by world-renowned Pyra Vastu found er, Dr. Jiten Bhatt to maximize your pyra vastu results for more health & prosperity. Better result in Pyra Vastu obtained by it, are not only by accurate dimensions but also superfine tuning done by Grand Masters. Also vibratory frequency of each layers & all well matched components gives tremendous power to maximize its efficiency. Ideal for vastu correction in flat, rooms & house. As Multier Max has power of nine original Multier Pyramids, you can use frequently for big projects like Factory Land, Farm & Hospital etc. It can be used in multiple of 9 such as 9, 18, 27... depends upon the area & strength of problem. - 9 Copperon programmers Max Base. This advance new Multier Max is precisely developed by world-renowned Pyra Vastu founder, Dr. Jiten Bhatt to maximize your pyra vastu results for more health & prosperity. Better result in Pyra Vastu obtained by it, are not only by accurate dimensions but also superfine tuning done by Grand Masters. Also vibratory frequency of each layers & all well matched components gives tremendous power to maximize its efficiency. Energy 9x9 is also available with Shree Ganesh energy variant in the center! Staircase can be use to correct the staircase directions as per vastu. This yantra is specially designed with small pyramids which will not disturb or affect while you go up and down. If the staircase direction is not clockwise than do not worry, fix 3 Staircase 9x9 on first three risers of staircase. In the same way the risers must be in odd numbers, if it is not than you need to correct it in the same way. Natron is a revolutionary solution to the biggest Vastu & Feng Shui defect created by the attached bathroom and toilets in modern homes & offices. 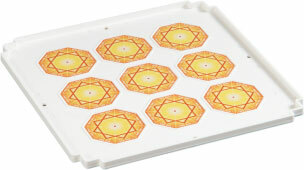 This yantra can be fixed in bathrooms, toilets & other negative areas. Natron is the best instrument to absorb negativity. This special Energy 9x9 energy enhancer improves the flow of energy in your home & brings good chi in the whole house. It is used in various fengshui & vastu correction methods & has many numerous uses, you can place on the wall of your home, shop or office. Very easy to use; place the plate between your two hands and personalize for the purpose, then hang on a screw or stick with a double side tape. w Now also programmed with 9 cosmic energy FaMaa discs at the bottom. w 'Lotus Yantra' at the center with Eight directional benefits. w Add power of Gold pyramid in the center. Agro Pyramid brings the mystical powers of pyramids to agricultural use. Agro pyramid improves crop output by enabling the divine pranic energy to reach the core of the seed protecting it against all negative environmental forces. It gives more returns with less labor and lesser use of fertilizers and pesticides. It creates powerful momentum at the soul of the seed for a healthy crop. Multier Plus is a combination of one Multier Original and one Booster Plate. It will be available in one pack consist of 15 nos. and in less price. 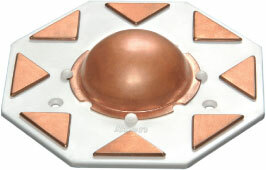 Unique Design of Bottom Plate with 9 "Shift Chips" for shifting the room energy in any 1 of the direction.comes with 9 "Shift Chips" for shifting the room energy.